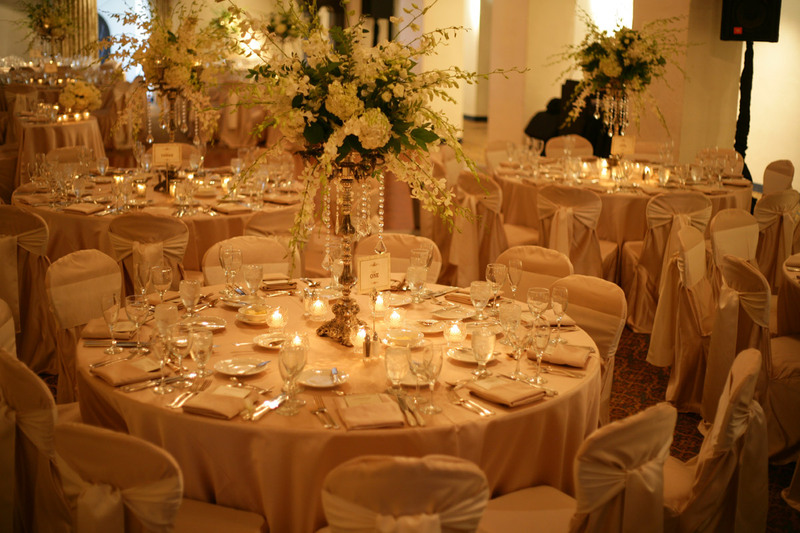 At Classic Touch Events, we love classic, elegant beauty that stands the test of time. A timeless bride is one who is as relevant today as she would be 50 years from now. 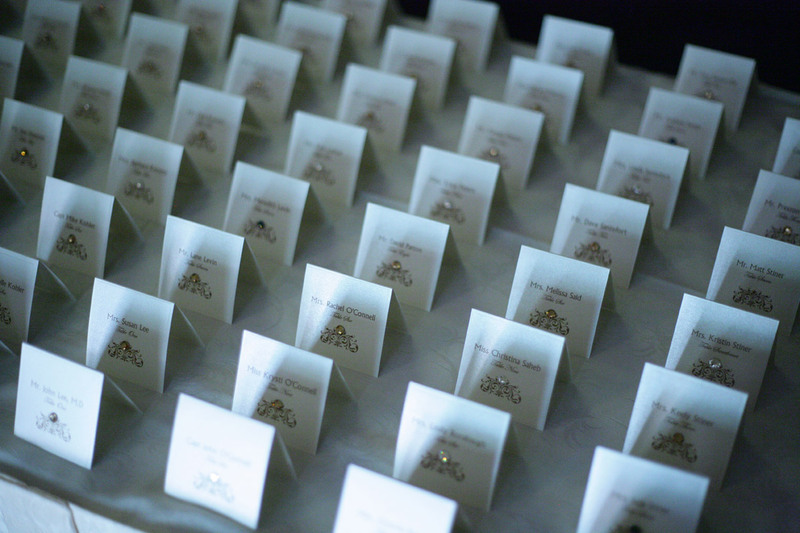 A timeless wedding is one that includes personal details that are perfect and appropriate. Timeless Touches intends to reflect the eternal style of Grace Kelly and Audrey Hepburn. We had the honor of planning the wedding of Kineret and Aaron at The Parker Hotel in Palm Springs. We had originally planned for an out-door ceremony and reception at the Gene Autry House but Mother Nature had other ideas. With 70 mile per hour winds blowing through our gorgeous wedding we were forced to move everything inside. It still turned out just beautifully thanks to our team and to White Lilac our incredibly talented florist team. Our amazing photographer was Kim Fox of Kim Fox Photography. Our bride and groom were a joy to work with, even with the in-climate weather they still kept smiling. 🙂 We hope you enjoy the photos! 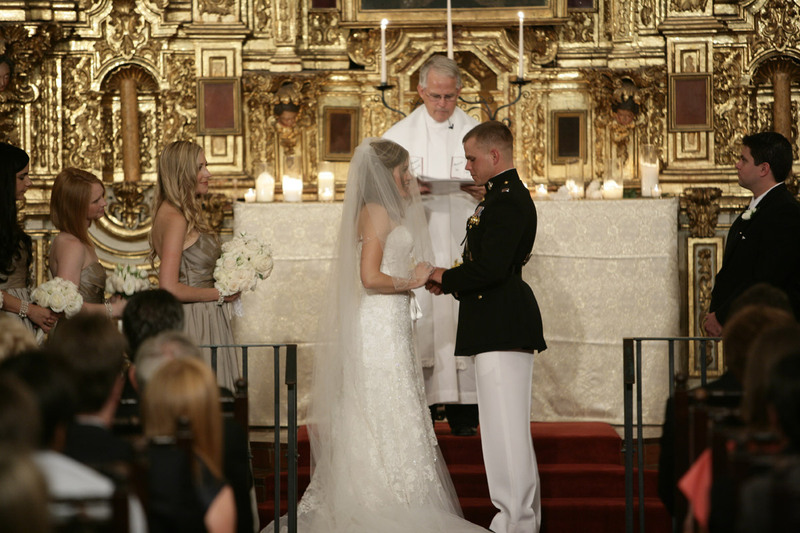 jennifer - Such a beautiful wedding! !Organised so elegantly! 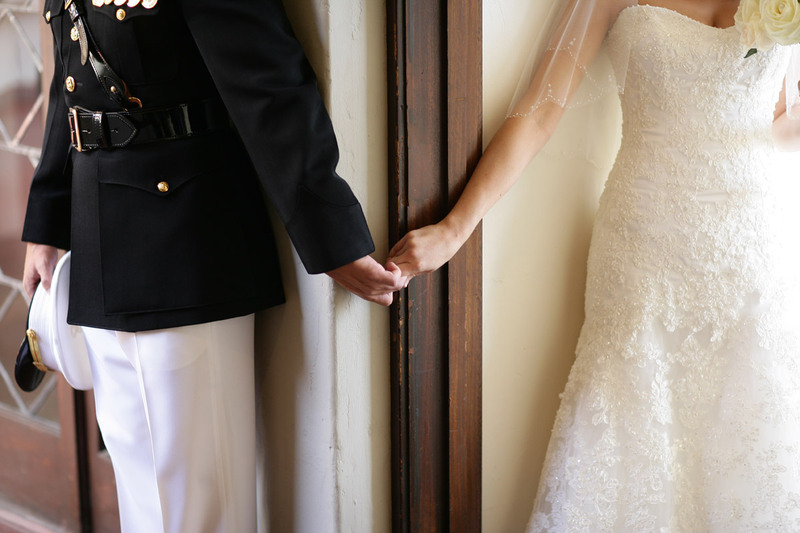 This military Mission Inn wedding is the definition of elegance. With the most impeccable floral designs created by none other than Flowerloft, nothing beats this flawless Mission Inn wedding! Main Event DJ’s gave the night the perfect mood, and, as always, thanks to Cean One Photography and Godfather Films, every breathtaking moment from this perfect evening was able to be captured! 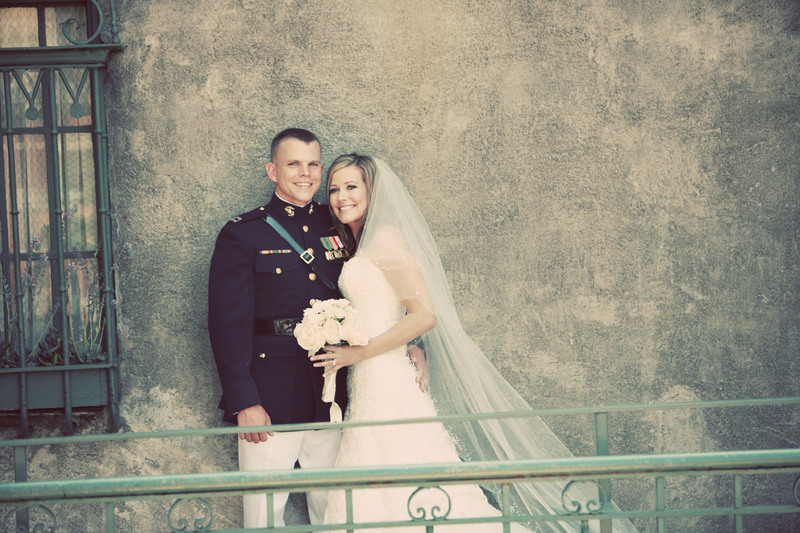 Congratulations Mr. and Mrs. Stiner! We had such a great time making your dream wedding a reality and we wish you nothing but the best! We had the honor of planning a very special 50th anniversary party for a lovely couple at the Center Club in Orange County. Their son and daughter in law worked with us to throw this beautiful party to honor their parents. They kept so many great mementos from their wedding that it made it easy for us to recreate the feeling of their wedding from 50 years ago. 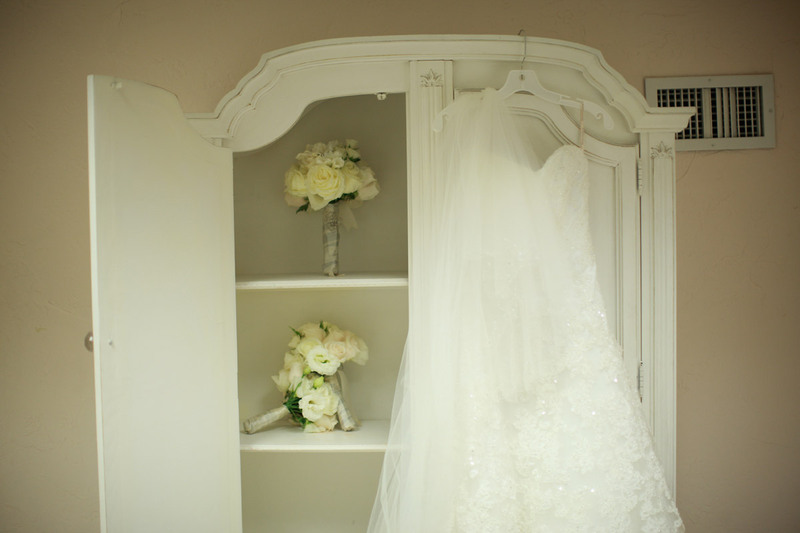 We even had Claudia’s original wedding dress on display. Flowers by Cina did a gorgeous job on the floral design and Michelle Lacson Photography didn’t disappoint with these beautiful images! A big congratulations to Jim and Claudia! 50 years is an amazing accomplishment! We are so thrilled to see our Mount Palomar Winery Wedding on Wedding Chicks! Incase you missed it, here is the full post…. When you are meant to be with someone the love that surrounds you is so tangible it can actually be felt by those around you. No, not in the gross get a room kind of way, but in that warm and fuzzy tale as old as time kind of way. That’s right, we just made a Beauty and the Beast reference, and why not when even Disney Fairytales can hardly compete with the love of this couple? I mean when the two of them unknowingly write practically the same wedding vows for each other and their chemistry is so potent that it is affecting this blogger as she looks at their photos. This love is one for the books! From Whiskers and Willow Photography: The day began at a gorgeous home in Temecula where Kiah and all her ladies were relaxing as they prepared for the big day ahead. Jemhair styled all the bridesmaids’ hair while Kiah was pampered by her co-maid of honor and MUAH Victoria Toda. Kiah’s mother Sally helped Kiah into her gorgeous classic lace form-fitting gown and soon after, as Kiah recorded her vows for videographer Audrey Alba Films, there was not a dry eye in sight! Surrounded by all the special ladies in her life, Kiah truly had a lovely morning getting ready. As we have gotten to know Kiah and Derrick from photographing their engagement to being around them their entire wedding day, we have seen how much these two are meant to be. 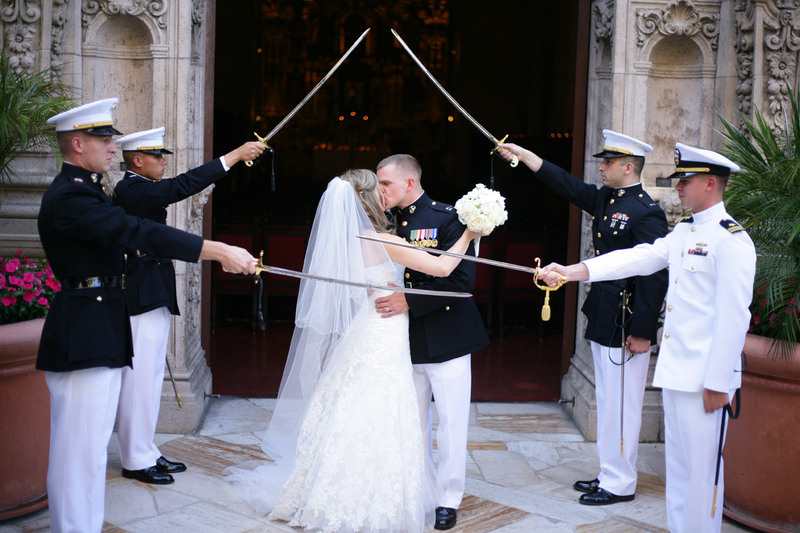 During their vows, Kiah and Derrick found that they had unknowingly written almost exactly the same things to each other. They are just amazingly in-tune with each other. The way Derrick looks at Kiah, the way that they are kind yet playful to each other – it was so obvious how this is a lasting love. The reaction from Kiah and Derrick’s family and friends during their ceremony, their toasts, and the entire night showed how truly loved they are. There were lots of laughter, tears, and heartfelt moments that made us feel so incredibly grateful to have been a part of such a special day for these two kind-hearted individuals. 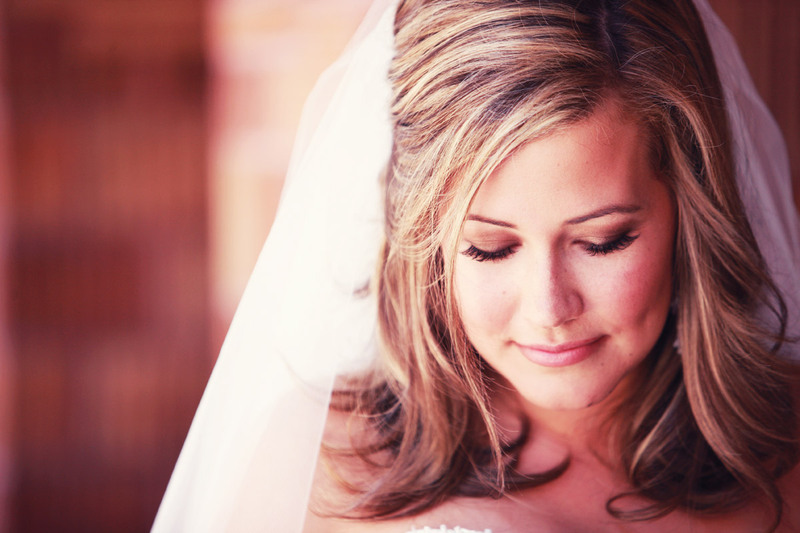 From the Bride: Don’t sweat the small stuff and enjoy the process. 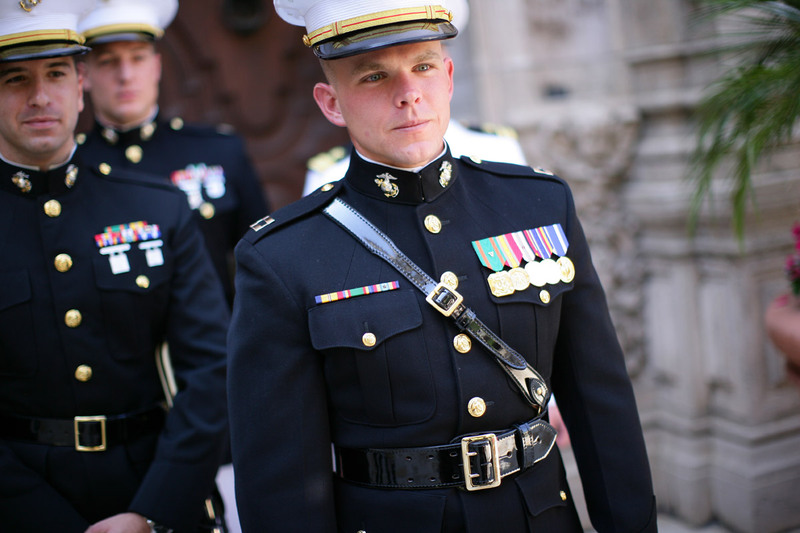 Be true to yourself and your and your fiancé’s personal style. On your wedding day, either have a day-of coordinator or delegate all the important tasks to your family and friends. You want to thoroughly enjoy your special day and not worry about all the moving parts. We are so thankful for our amazing vendors, bridal party, friends, and family who made the day stress free for my fiancé and me. From the Groom: If or when ‘disaster’ strikes, accept things for what they are and make the best of whatever situation you find yourself in. Enjoy the moment! One of our goals regarding the wedding budget was not to be in debt. We accomplished it by keeping a close watch on our expenses, setting a realistic budget (and adjusting it along the way as we learned more about having a destination wedding), and religiously tracking our spending. 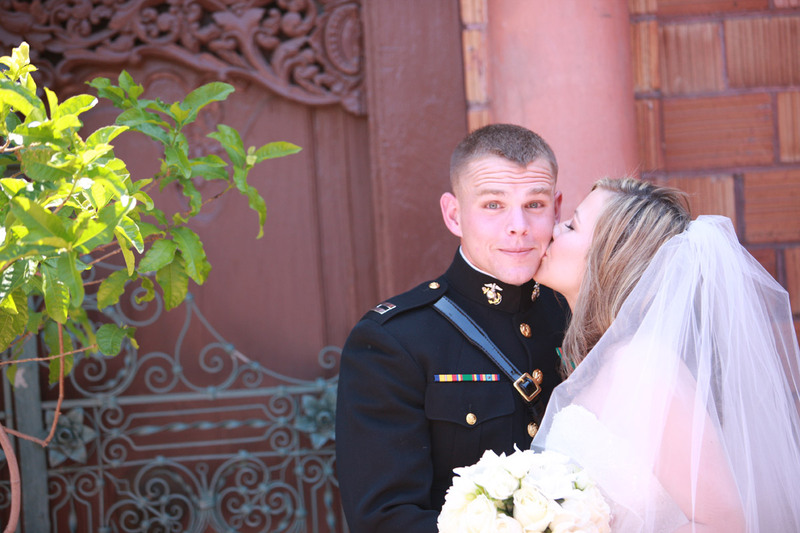 It felt great to have the wedding we wanted and not feel any financial remorse afterwards. From Whiskers and Willow Photography: The reception was an elegant garden party with market lights, blush peonies and roses, chiavari chairs, and laser cut placecards. There was a beautiful lounge space with furniture from Jake Duke Studios and a dessert station with desserts including a semi-naked cutting cake from The Sugar Divaz. Wood signage by calligrapher Twinkle and Toast complimented Posh Peony‘s arrangements, which completed the garden atmosphere. To get a closer look at this posh vineyard wedding in blush and grey check out the wedding film Audrey Alba Films created below! We are beyond excited to share that our second wedding for the amazing Goss family is featured in the Los Angeles edition of Ceremony Magazine! 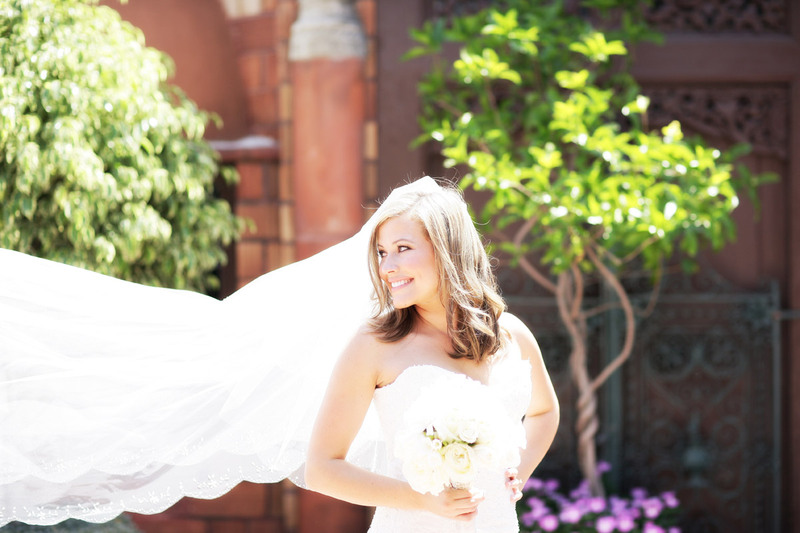 This Blush and Gold Mission Inn Wedding is also featured on the Ceremony Magazine blog and can be seen here. Brittany told Giovanni that if she could be proposed to anywhere, it would be in Paris in front of the Eiffel tower. For the proposal, Giovanni recreated Paris at a venue with all their family and friends. He included murals, flower shops, and pastry shops to really make it feel like Paris in the United States. Giovanni planned it all, making it such a meaningful moment for Brittany. Brittany and Giovanni’s fondest wedding moment was walking into their reception as husband and wife and being able to see all the guests and how beautiful everything looked. Special thanks to the talented group at Devende Photography for Timeless Touches introductory slideshow photos.